Mount Kilimanjaro porters society is a non– government organization aims at supporting porters who climb Mount Kilimanjaro and Meru due to the fact that most of the porters are low income earners and they have low or no education at all, so the organization aims at improving living and working conditions of porters. The organization was established in 2004 with the purpose of improving porter’s welfare. · To improve living and working condition for porters who climbs MT. Kilimanjaro and Meru. · To raise porters awareness especially by educating them through training, Seminars and workshops. To facilitate Environmental Conservation and Sustainable Tourism Development. To support their living conditions and their families as well as their surrounding communities. CAR WASH PROJECT; the aim of the project is to ensure members get something to do all the year round, having the fact that Tourism is seasonal job, which with low season the project will help support their life, instead of suffering the economic hardships, while waiting for the new season. PLANTING TREES PROJECT; the project is carried on MKPS plot near Spring land hotel, where by clients have opportunity to visit the plot and plant some trees and by so doing they contribute and donate some materials including money to help support the project and ensure Environmental sustainability. MKPS HAS DONE THE FOLLOWING TO SUPPORT ITS MEMBERS AND SURROUNDING ENVIRONMENT. · Workshop and free Training during the low season, such as health training e.g. MALARIA, HIV/AIDS, and other Diseases, financial management and Investment skills, mountain sickness training skills, environmental conservation education and English Course. · Assist opening a Bank accounts for almost 90% of our members so as to ensure that all porters have their own bank account and card, which will help them handle their money Safe and better, It is through this account we use to pay their salaries, financial supports when they got problems like sickness, sympathy, etc This helps some of the porters pursue their own businesses, afford build their own houses, pay their bills and taking care of their families and affords basic needs such as food, shelter, clothes, education needs, since with the accounts they also had the opportunity for Micro-credits from the company and other financial institutions. · Our environmental Concern and Conservation initiatives made us, start several tree planting projects around Moshi and Karatu (The High view Hotel) in order to raise awareness on environmental problems and this give employment opportunities to porters during the low season and help support their life. · We have established tipping sheets in ensuring that porters get their tips fairly as provided by clients, with this sheet should be signed by clients when pay tip, also be signed by porters when receive their tips and monitored by the office, this help to bring transparency and fairness in tipping issues. 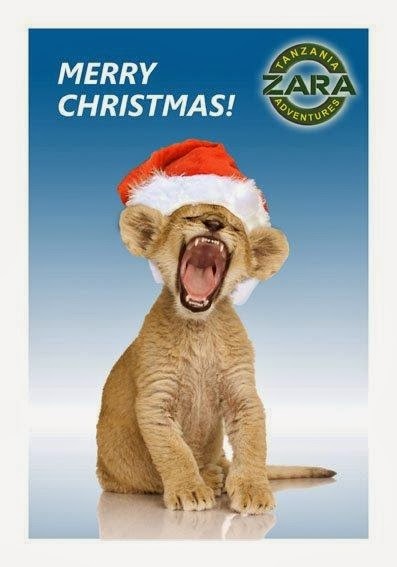 · MKPS through their sponsors Zara Tanzania adventures and colleague have work to ensure that porters are paid well. and with this Zara and colleague has increased their salary to be much higher than what has been proposed by KINAPA and TANAPA. · Each MKPS member has been given one bicycle donated by our sponsor Zainab. A. Ansell and Roger Ansell ZARA Tours directors. · We have made identity cards for members, to help monitoring and assist them for jobs and other requirements, Example we provide Member with hiking equipment such as sleeping bags, tents, rain coats, rain trouser, jackets socks, gloves shoes and the ID help a lot with this. · To ensure that porters carry loads respond to set standards of 20kg per person, we have Established a measuring unit before take them to the KINAPA gate for climb.